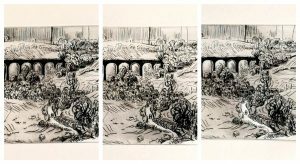 This is usually fairly straightforward with etchings such as this one by John Daffern – even though I found that the hot weather we had this summer made controlling the degree of plate tone on a very large plate a little tricky to control. This large etching is of Emperor Penguins – huddling. 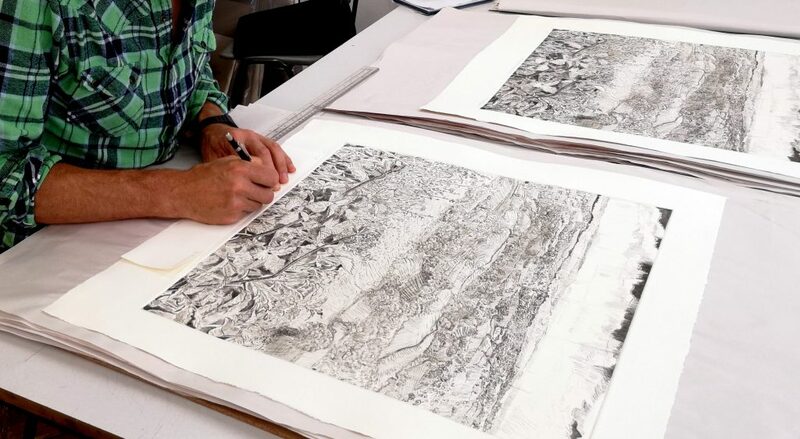 Other editioning projects, such as when working in collaboration with artists commissioned by the Thelma Hulbert Gallery can have interesting dynamics. Last year I worked with Frances Hatch (see previous post), and this year I was teamed up with Angus Rutherford to produce a couple of editions from his drypoint plate. 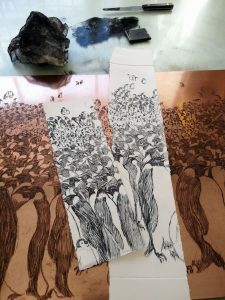 As anyone familiar with drypoint on Perspex will know the burr can wear off very quickly and in an edition of 20+ prints there will be a gradual wearing and lightening of the image. I compensated for this by gradually leaving more plate tone on the darker areas to maintain the tonal range as much as possible. 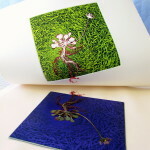 Happily Angus enjoyed the fact that this makes each print subtly different and therefore a truly unique artwork for each purchaser. It was also interesting to experiment with a colour option too. This project was part of a year-long collaborative project between THG and East Devon Area of Outstanding Natural Beauty celebrating 25 years of the East Devon Way, the 40 mile footpath running from Exmouth to Lyme Regis. 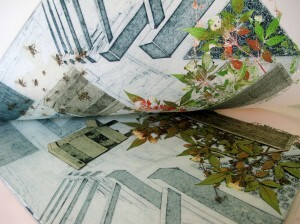 These prints were editioned in time to be included in the exhibition Experiencing the Landscape – Art on the East Devon Way at the Thelma Hulbert Gallery, 8 September 2018 to 27 October 2018. 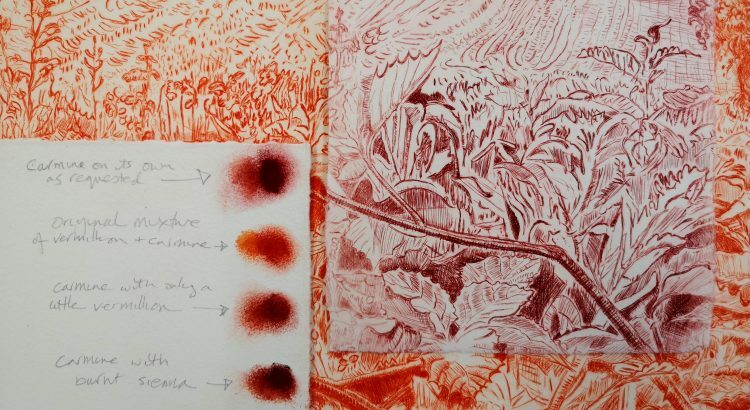 Wow this is a really nice post about your process and the practice of editioning prints!